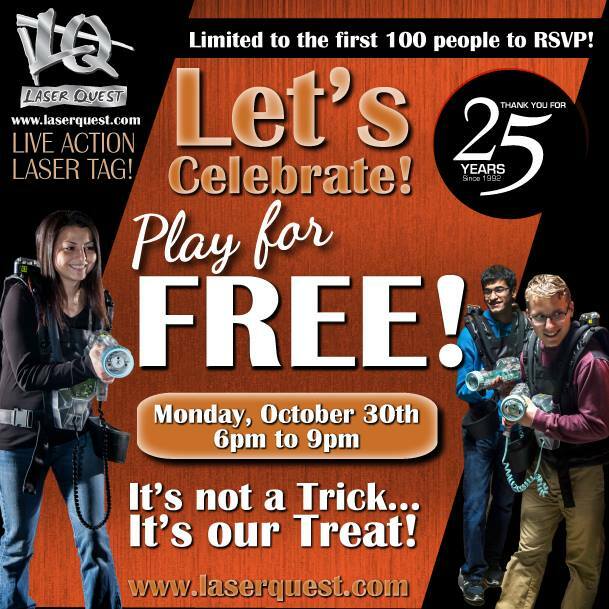 Laser Quest is celebrating 25 years of bringing fun to life! As a thank you, they invite you to play a FREE game on Monday, October 30th between 6pm and 9pm. Limited to the first 100 people to RSVP.